Cambridge scientists are hoping to discover the wreck of polar explorer Sir Ernest Shackleton's doomed ship that was trapped in ice and sank more than a century ago. 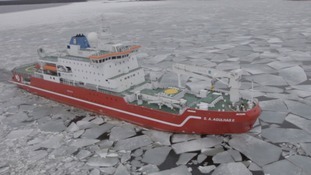 They're on their way to do scientific research but if conditions are right they'll be using robotic submarines and drones to search the freezing Antarctic sea for wooden ship Endurance. Scientists hope it will be the first proper search for Shackleton's ship which sank in 1915 on a expedition to cross Antarctica via the South Pole. 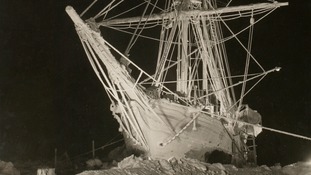 Getting to the wreck site will be a challenge in itself as Antarctica is a place of extremes. Shackleton and his team had set out to cross the Antarctic via the South Pole but after The Endurance got stuck then sank they struggled to survive on their dwindling provisions. So Shackleton made an 800-mile voyage in a lifeboat with five other men to a whaling station at South Georgia to get help and so ensured the whole team was rescued. Searching for his lost ship is actually not the point of the 2019 expedition. Scientists are trying to discover why a trillion tonne iceberg the size of Northumberland broke off the ice shelf and floated 28 miles last year. The team of experts, technicians and researchers are travelling to the region to study what pressures the shelf is under and what life survives in the extreme conditions.